Rob thinks Tusk is simultaneously the weakest and the most important film Kevin Smith has ever made. The internet doesn't need another negative review of Tusk, nor does it need another self-righteous fanboy rant about how far Kevin Smith has fallen from former glories. You won't find those here. To me, both are less about the material itself than they are about proving that Mr. Smith was never as talented as we all thought he was. Those who reject Red State or Jersey Girl (neither perfect films by any stretch) because they deviate from the familiar formulas of Clerks and Dogma likely also insist that the Prequels ruined Star Wars and that George Lucas destroyed their childhood. 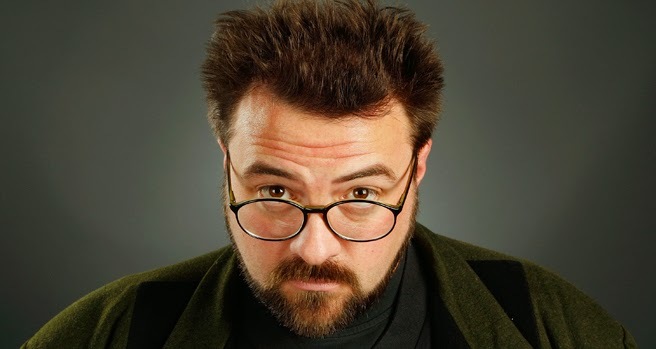 Mr. Smith has spent two decades quietly shepherding "nerd" culture into the mainstream, and to suggest that he owes it to us to keep making Mallrats into his forties is not only presumptive and ridiculous, but it demonstrates a complete misunderstanding of the relationship between filmmaker and film. He's no longer the snarky twenty-something with an axe to grind that he was in the 90s. He may be making films that are a bit too ambitious for his particular skill set, but they're also far from boring. What's that old cliche about the tallest nail being hammered first? Risky, inventive films like Tusk are proof that Mr. Smith still stands pretty damn tall. Bring on the hammering. A (at this point, unneeded) disclaimer: I am a Kevin Smith fan. I grew up on his films. The first screenplays I ever tried to write were conversations between Dante and Randal, the loafing register jockeys from Clerks. Like Aaron Sorkin and Joss Whedon, Mr. Smith taught me that dialogue should flow like music and that character development and plot development go hand-in-hand. I also enjoy the cult of personality he's built around himself and his partners: I've probably listened to the Chasing Amy commentary track more than I've watched the film itself. I say this not to defend Tusk or make excuses for it, but to put it and my review in the proper context. Those outside the loop should know that it's less a film than it is a love letter to SModcast fans. Tusk is not only inspired by an episode of that podcast, but full of references to other SModCo shows and stories. I suppose I'm a little too close to this one and I'll surrender any objectivity when it comes to reviewing Tusk, but hear me out anyway. 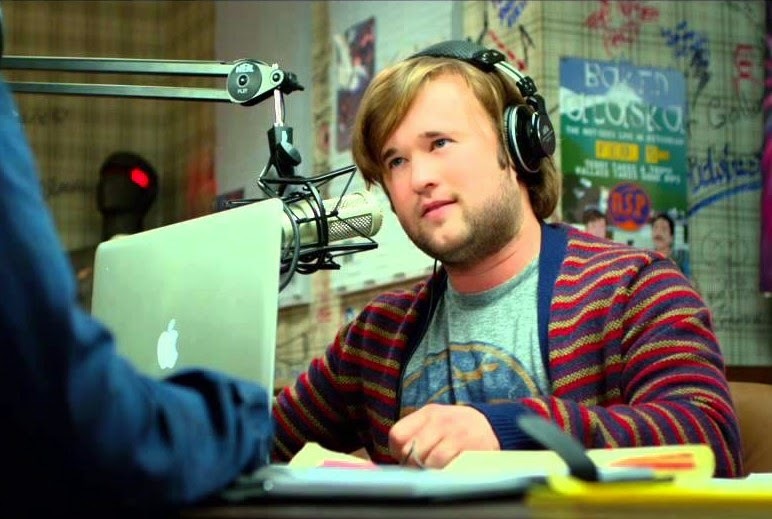 First, the film itself: Wallace (Justin Long) and Teddy (Haley Joel Osment) are hosts of The Not-See Party, a popular podcast. The pair make fart noises and take vicious jabs at viral video stars and other Internet phenomena. Wallace is dating Ally (Genesis Rodriguez), who laments that he's sold his soul for internet stardom (she's right). Wallace also provides the podcast's travelogue segment, and when the film opens he's heading to Winnipeg for an interview with "The Kill Bill Kid," their latest target of ridicule. Unfortunately, The Kill Bill kid committed suicide and is decidedly unavailable for a sit-down. Now desperate for something to make his trip to Canada worthwhile, Wallace responds to an ad placed by Howard Howe (Michael Parks) promising free room and board and a lifetime of stories to anyone willing to do a little housework. Howe is essentially Hannibal Lecter: refined, dignified, and completely insane. He gets to work transforming Wallace into Mr. Tusk, a recreation of the walrus that saved his life and kept him company when he was shipwrecked years ago. Teddy and Ally then enlist the help of disgraced detective Guy Lapointe (Johnny Depp) to find their lost friend. While the trio search the Great White North for any sign of Walłace, Howe tortures him until he accepts his ultimate fate as Mr. Tusk. It's all exactly as bizarre as it sounds. It's also exactly as bad as it sounds. While it's worth noting that Mr. Smith continues to develop as an editor (the film makes great use of flashbacks that would be really effective if we knew or cared about what was happening), Tusk suffers from a severe lack of character. Wallace is a colossal prick with no redeeming qualities whatsoever. 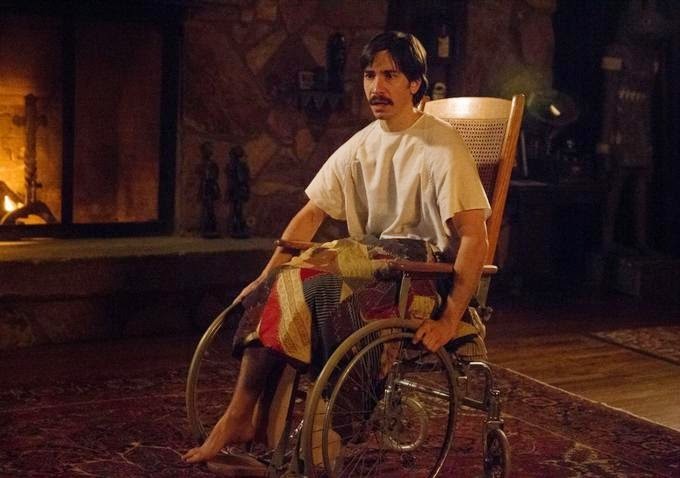 Justin Long is fine in the role, but he's essentially out of the picture once he puts on the Tusk outfit. His lack of development also kills Ally's character. Her only purpose is to help him realize the error of his ways, but she's never given a chance to have a real impact (Ms. Rodriguez delivers a beautiful and heartbreaking monologue that has absolutely no business in the film). 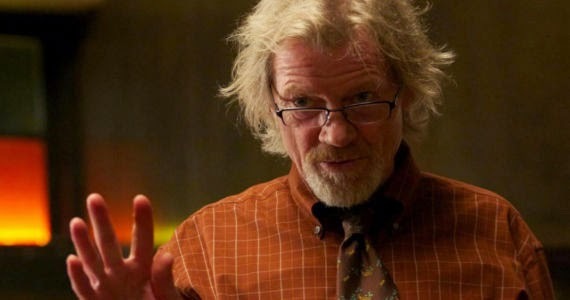 Michael Parks continues to be one of our most underrated character actors and has plenty of fun as Howard Howe, but his "man is the most savage animal" message is lost in the cacophony and is only awkwardly paid off in the film's final moments. Then there's Johnny Depp, uncredited for some reason. 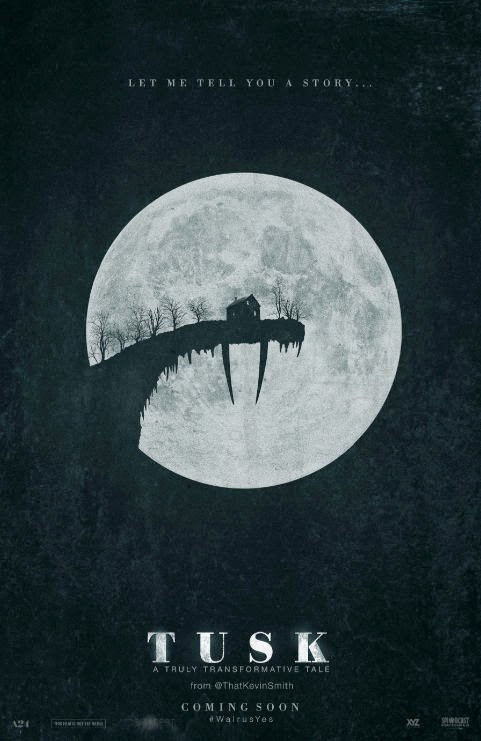 Tusk is marked as a horror/comedy, and while most films of that classification blend the two genres, this one draws a very clear distinction between them. After forty minutes of build-up to twisted body horror, Depp arrives in one of his funny hats. His Guy Lapointe is essentially Inspector Clouseau as played by Christoph Waltz. It's nice enough to see Depp do something interesting and he's got some great moments, but again, the tone is all wrong. He's an absolutely ridiculous character. The film is completely derailed from his first long monologue and never recovers. The horror elements also quickly fall to pieces: While I hate to criticize the hard work of gifted technicians working on a low budget, the Mr. Tusk prosthetic is hilariously plastic, and seeing it in the bright light took me completely out of the story every time. The other issue plaguing Tusk is that the hypothetical plot and story execution outlined in the SModcast conversation is far more interesting than how it turned out in the final product (the real-life ad read on the podcast indicates that the person answering the ad will know about the walrus costume and take the risk anyway). The whole thing is just a mess. For the SModcast fan, though, there's plenty to like: The Gimli Slider, Wallace's ring tone, Ponder Rock, the "What What?" t-shirt, etc. It goes on and on. Kevin Smith's View Askewniverse has always been one big self-referential joke, and die-hard fans will spend months picking over Tusk for Easter eggs. And really, that's the key to understanding the film. Mr. Smith made it clear from the start that Tusk was an intellectual exercise: Can a film actually be born of a silly podcast? In this cynical world of tentpoles and remakes, is there a studio out there willing to bet money on a B-movie about a man dressed as a walrus? Would a filmmaker really put his (already tarnished) reputation on the line to prove a point? Would the same fans who tweeted #WalrusYes in response to his marijuana-addled ramblings really come out to see the film if he actually made it? The plot and execution of the film itself is almost beside the point. Tusk is a big fat mess. It's far too exclusive an idea for anyone outside Smith's fan base to make sense of. Even then, it's disappointing and awkward. It's a disjointed blob thrown together on a dare. But it's also an attempt to prove that chasing whimsy is an essential part of creative freedom. Many critics have lambasted Smith for basing a film on a podcast, but films have always borrowed from other media. Radio plays have become films. Television shows have become films. Hell, board games are now becoming films. Why not podcasts? Like Steven Soderbergh, Kevin Smith is also a leader in a new wave of veteran filmmakers leaving the corporate structures of New New Hollywood. He's willing to embarrass himself in front of his peers in order to open doors for others. We need to stop taking easy shots at a willing target and say "thank you." We need to care about where film as an industry is going. If our major studios are unwilling to take a risk on anything outside established franchises, it's again left to the indies to provide us with the interesting stuff. Tusk is interesting. It's a stupid risk to take but I applaud Mr. Smith for taking it. Someone has to jump first so the rest of us can see how they land. I hope more directors take the leap.